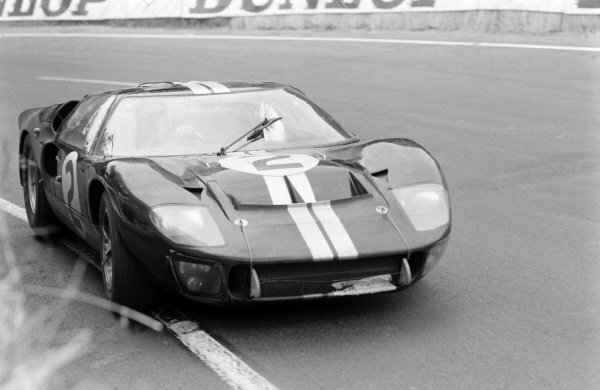 Bruce McLaren inspects his Ford GT40 Mk4. 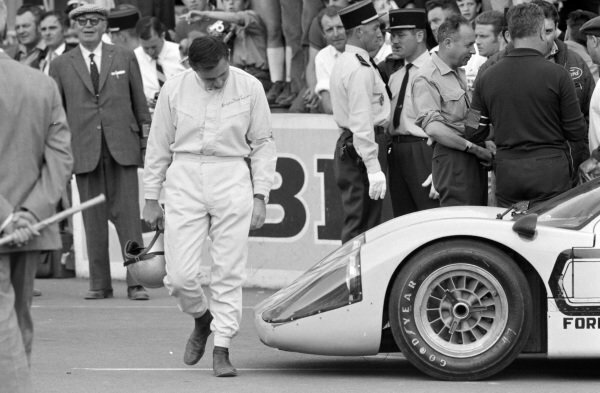 Bruce McLaren waits on the grid for the start. 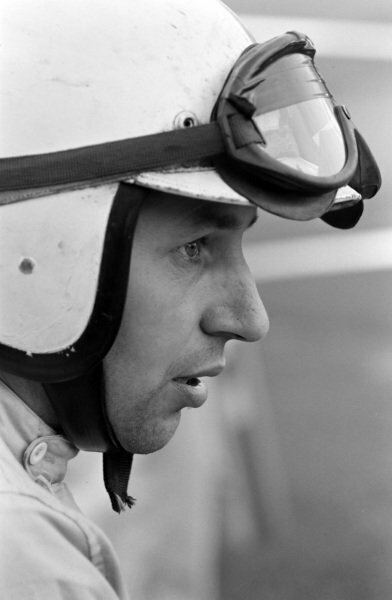 Dan Gurney / A.J. 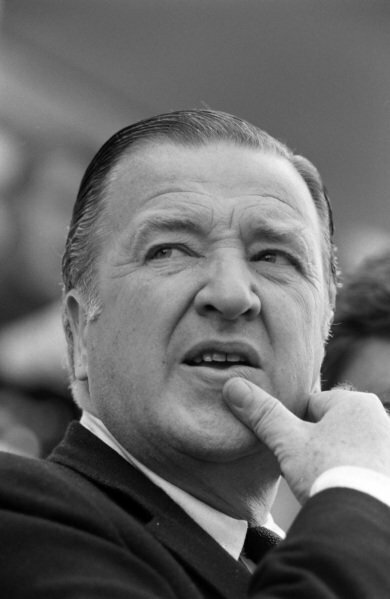 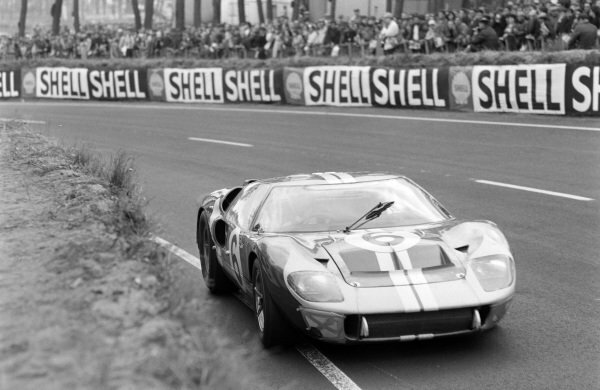 Foyt, Shelby-American, Ford GT40 Mk.IV. 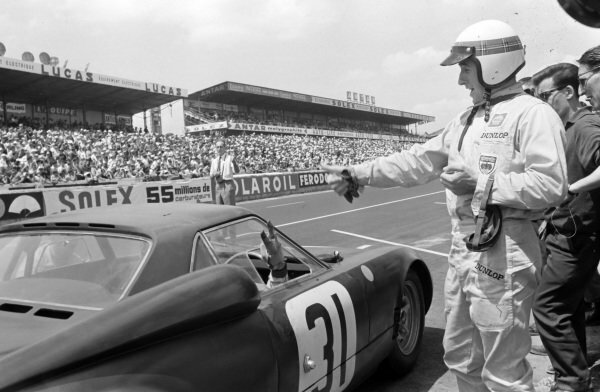 Willy Mairesse / Jean Blaton, Ecurie Nationale Belge, Ferrari 330P4. 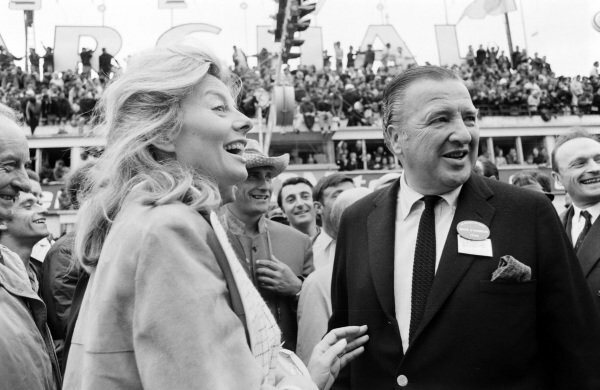 Henry Ford II and his wife Maria. 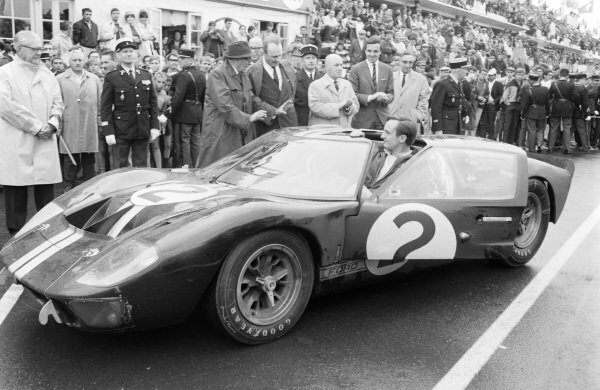 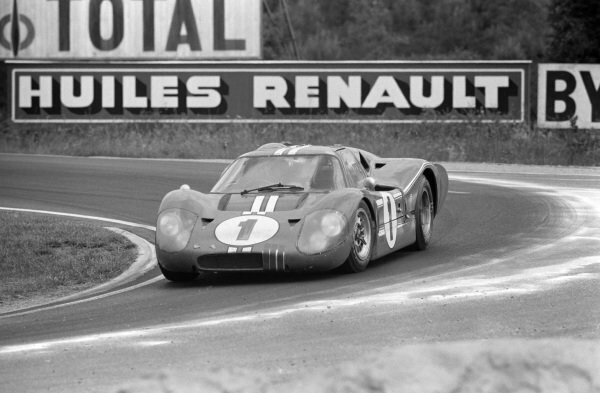 Chris Amon opens the door on the Shelby American Inc., Ford Mk II he shared with Bruce McLaren. 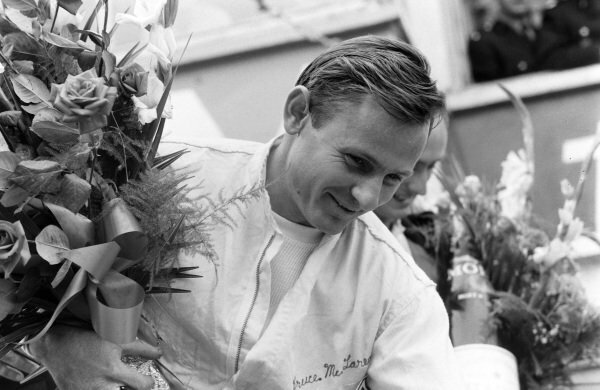 Bruce McLaren, 1st position, on the podium. 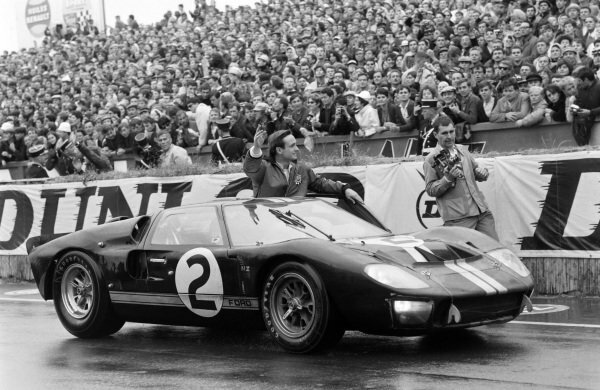 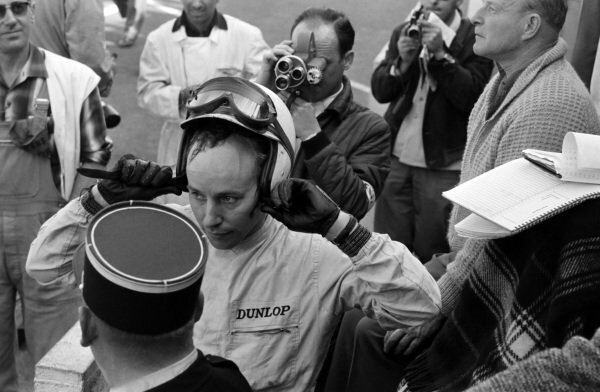 Chris Amon waves to the crowd from the cockpit of his Shelby American Inc., Ford Mk II. 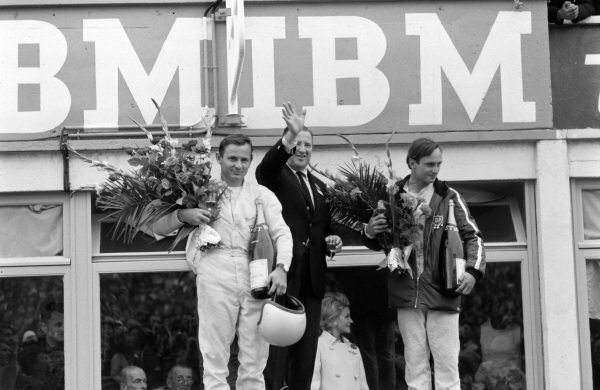 Bruce McLaren and Chris Amon, 1st position, on the podium with Henry Ford II. 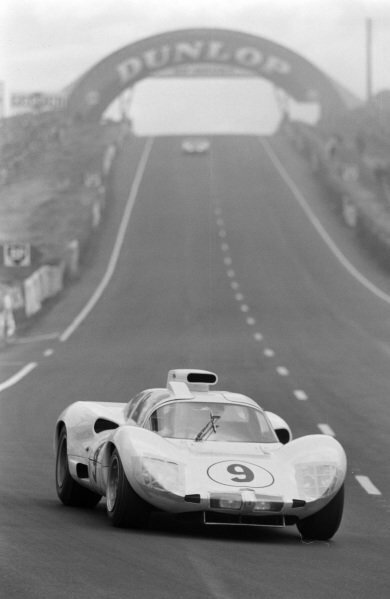 Phil Hill / Joakim Bonnier, Chaparral Cars Inc., Chaparral 2D - Chevrolet. 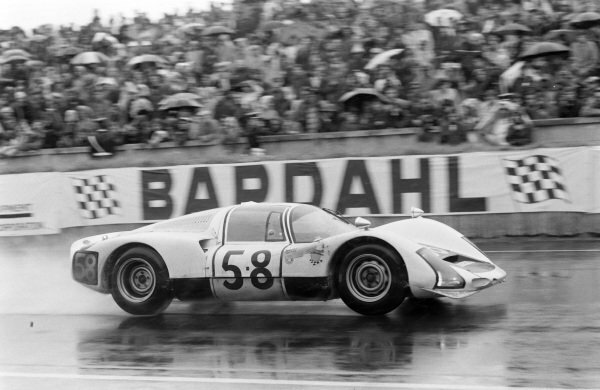 Günther Klass / Rolf Stommelen, Porsche System Engineering, Porsche 906/6 Carrera 6. 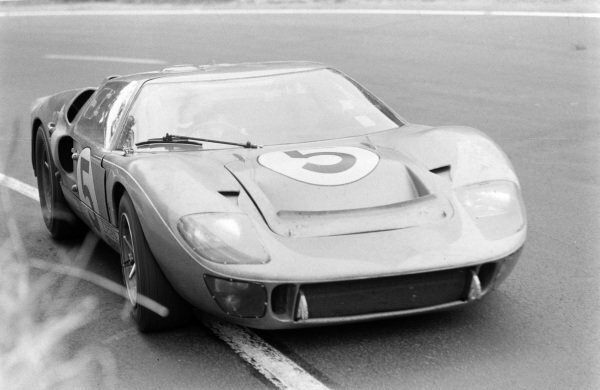 Ronnie Bucknum / Richard Hutcherson, Holman & Moody, Ford Mk II. 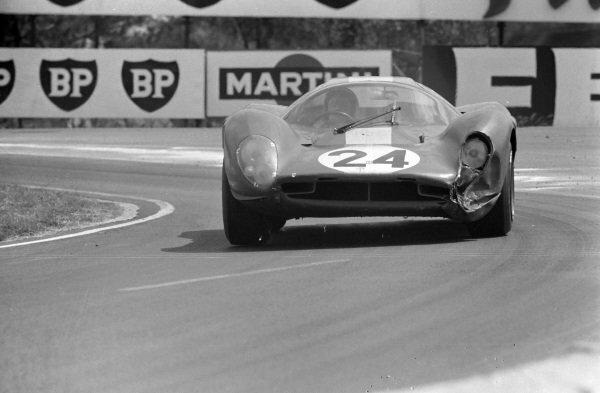 Bruce McLaren / Chris Amon, Shelby American Inc., Ford Mk II. 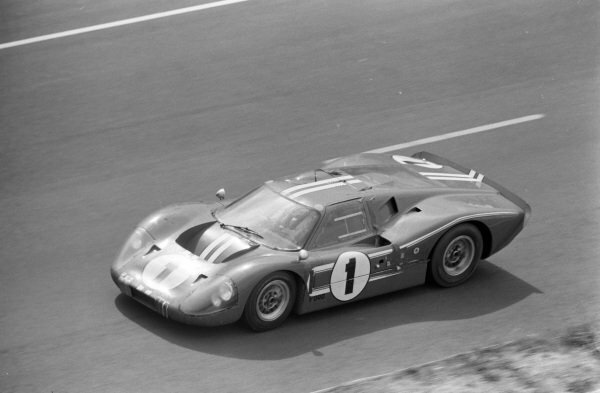 Mario Andretti / Lucien Bianchi, Holman & Moody, Ford Mk II. 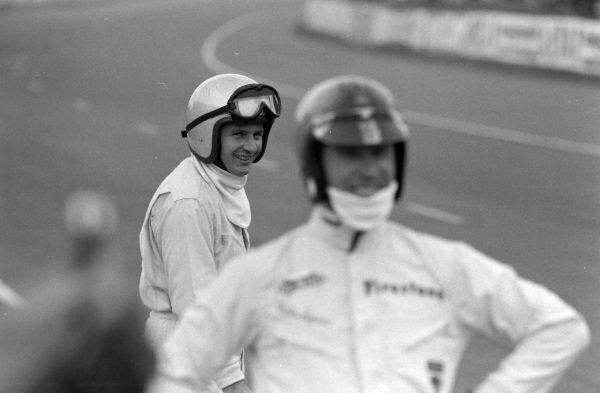 Jackie Stewart gives a thumbs up to Graham Hill whoi returns with his own gesture as he drives their Owen Racing Organisation, Rover-BRM, out of the pits. 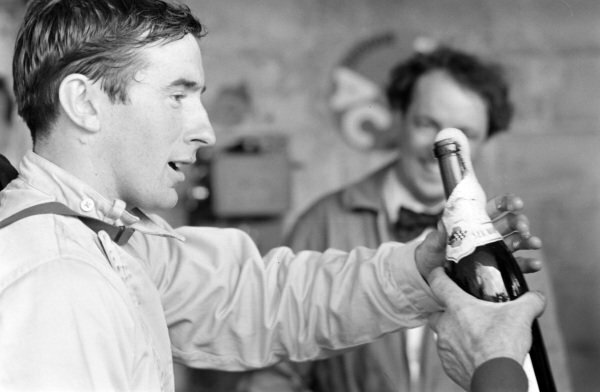 Jackie Stewart is handled a bottle of champagne. 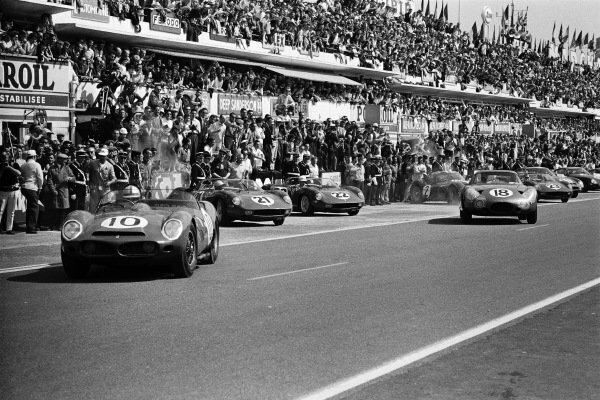 Pedro Rodriguez / Roger Penske, North American Racing Team, Ferrari 330LM TRI, get away first at the start (car #10). 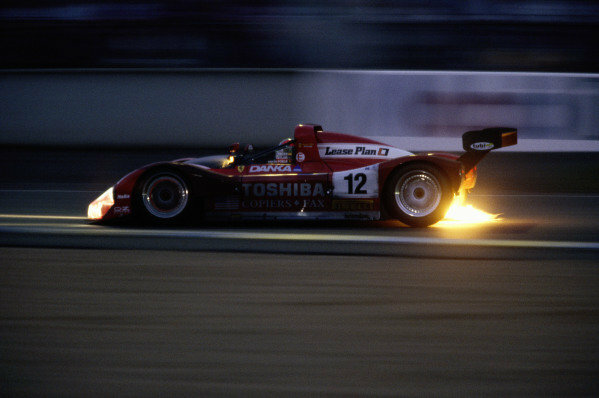 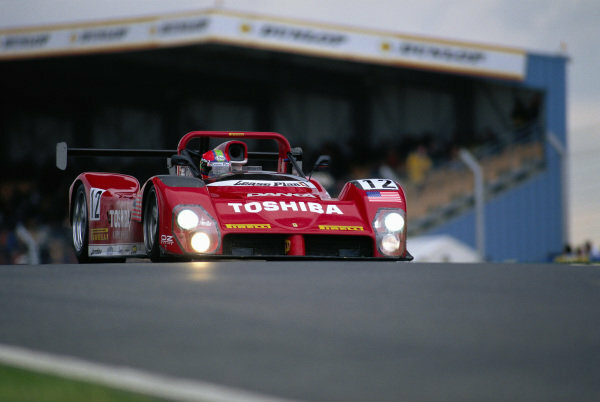 Wayne Taylor / Eric van de Poele / Fermin Velez, Doyle Risi Racing, Ferrari 333 SP. 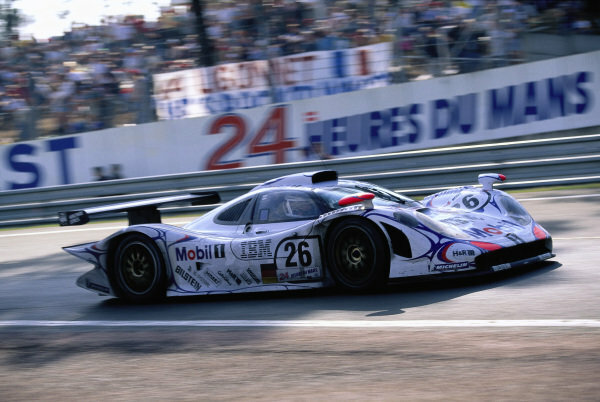 Allan McNish / Stéphane Ortelli / Laurent Aiello, Porsche AG, Porsche 911 GT1-98.